Don't know who to cosplay? Looking for ideas? Just can't decide? Post here for help. How to Provide Costumes Size properly? Help me decide how to start! how to save money in Taobao cosplay shopping? Characters that wear lots of dark purple. 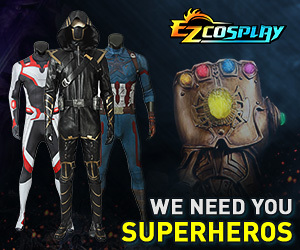 is anyone going to megacon this year that wants to group cosplay ? Help with deciding on a Disney cosplay! Which should I go as?